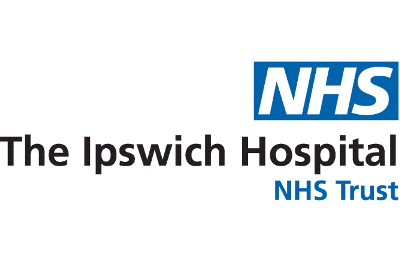 Ipswich Hospital, part of East Suffolk and North Essex NHS Foundation Trust (ESNEFT) has engaged three robots over the past three months to mimic keyboard and mouse clicks, to assist with routine admin referrals, using ‘virtual workers’. Handling 2,000 referrals on average per week, this has saved the Trust considerable costs and increased efficiency amongst frontline staff. • Tasks have included sending scan and blood test results from Primary Care GPs to Secondary Care hospital consultants, with intelligent automation supplied by British software company Thoughtonomy. This works over the existing applications and systems as part of the GP Electronic Referral Service (where patient data is collected and sent to the relevant consultant). • Initial results claim the new system is eight times more productive than using humans, releasing 500 hours of medical secretaries’ time, working 24×7 and anticipated to save £220,000 over the next nine months. The referral process has been seen to successfully reduce down the referral process from 15-20 minutes, to 5 minutes. Neurology department medical secretary, Christine Harvey added: “We used to extract information from (patient records) from one bit of software and put it into another bit of software. This was time consuming and carried the risk of mistakes from the patient notes system”. The technology has been received positively at the hospital, offering flexibility from ‘virtual buddies’, maximising the benefit of automation and enabling frontline staff to spend more quality time with patients and on workload, be more productive and enabled the Trust to cut down on short term agency use. Technically, the queues and productivity can also be monitored very easily on the move through smart devices. The scheme has the capability to be extended to using AI ‘staff’ to make appointments and do accounting and patient queries. A report by the Institute of Public Policy Research (IPPR) states that automation could save the NHS up to £12.5bn a year, or 10 per cent of its annual budget. The Department for Health identified that the NHS’ infrastructure was “not currently fit for purpose for AI” and would require standardising to fully harness the technology’s potential. A move in this direction however is clearly signalled as a route to improvement and cost savings for the NHS. Dr. Bernhard Kainz at the Department of Computing at Imperial College London said: “At the moment the NHS has still an IT problem rather than a data science or AI opportunity.. and rather, it marks an important step towards clinical decision making supported by AI because it makes sparse, unstructured data accessible for automated data processing”. Meanwhile, in a bid to improve transformation of social care through technology, Bradford Council is in the process of developing a proof of concept for an AI tool in adult social care, funded by NHS Digital and the Local Government Association. Bradford, working with Rescon Technologies has designed the relevant service requirements which take on board matters as diverse as dental care, financial matters and watching football. The findings of the project will be known in December and decisions on how to take matters further determined at that time with stakeholders. For an understanding of the core distinctions between IT transformation and Digital Transformation and routes of developmental interest for the public sector, read Amicus ITS’ latest White Paper here.